Today I'm indulging in a bit of nostalgia. We had an ice cream maker when I was a kid. It was wooden, and you needed ice and salt for churning. The very first ice cream I can remember eating was peach. 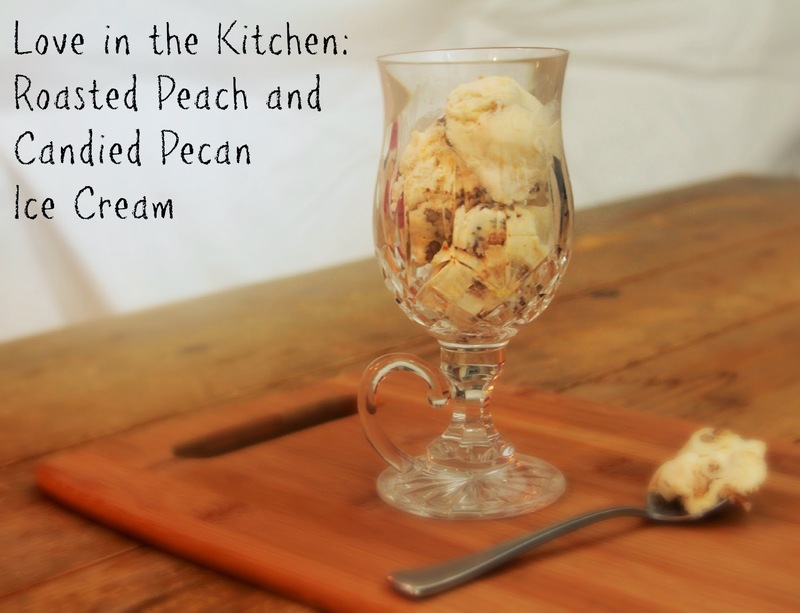 Peach Ice Cream is the essence of summer to me. This recipe uses roasted peaches to really bring out the flavor of the fruit. 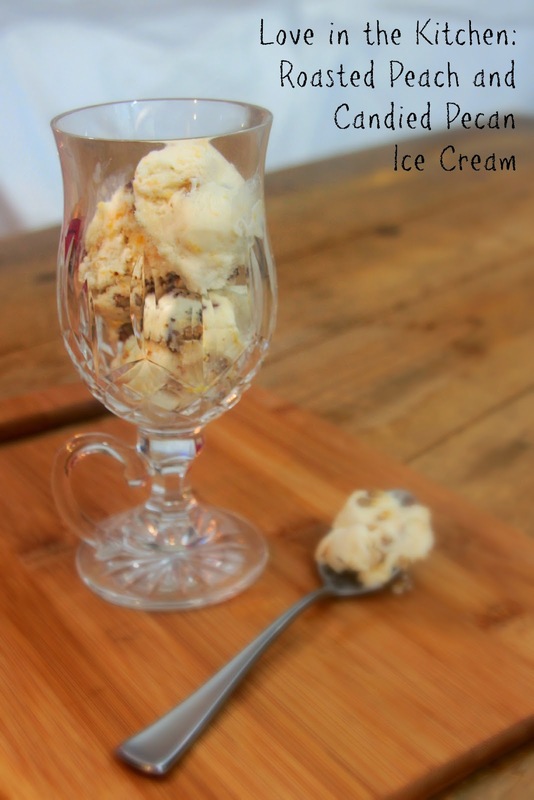 I added pecans to this for the delicious sweet crunch. And because I always think of peaches and pecans as going hand in hand. Definitely worth the extra effort! 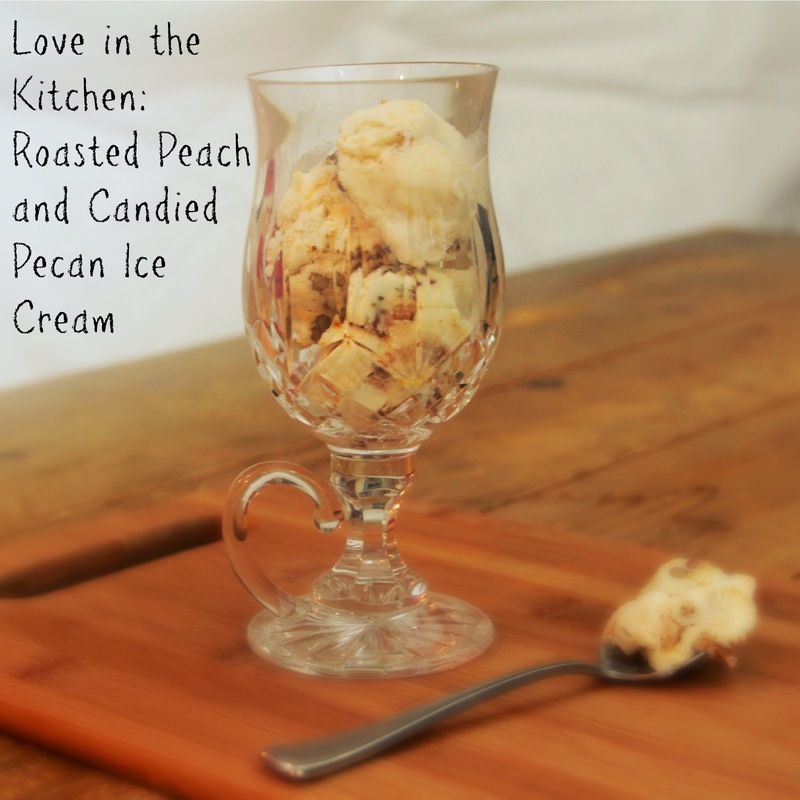 I love this ultra-creamy peach and pecan ice cream. And it really does transport me back in time! Whisk egg yolk until slightly thickened. Gradually whisk about 1 cup hot cream mixture into yolk. Add yolk mixture to remaining cream mixture, whisking constantly. Whisk in vanilla extract. Cool 1 hour, stirring occasionally. Meanwhile, place the peaches on a baking dish in a single layer. Pour the melted butter, 1/2 cup of brown sugar and water over the peaches. Stir to combine, then roast at 375F for about 25 minutes, or until soft and fragrant. Once the peaches are cool, coarsely mash them and add them to the cooled cream mixture. Stir to combine. Meanwhile, melt butter in a small skillet over medium heat; add pecans and sugar and cook, stirring constantly, 8 to 9 minutes or until toasted and fragrant. Remove from heat, and sprinkle with salt. Cool completely (about 30 minutes). 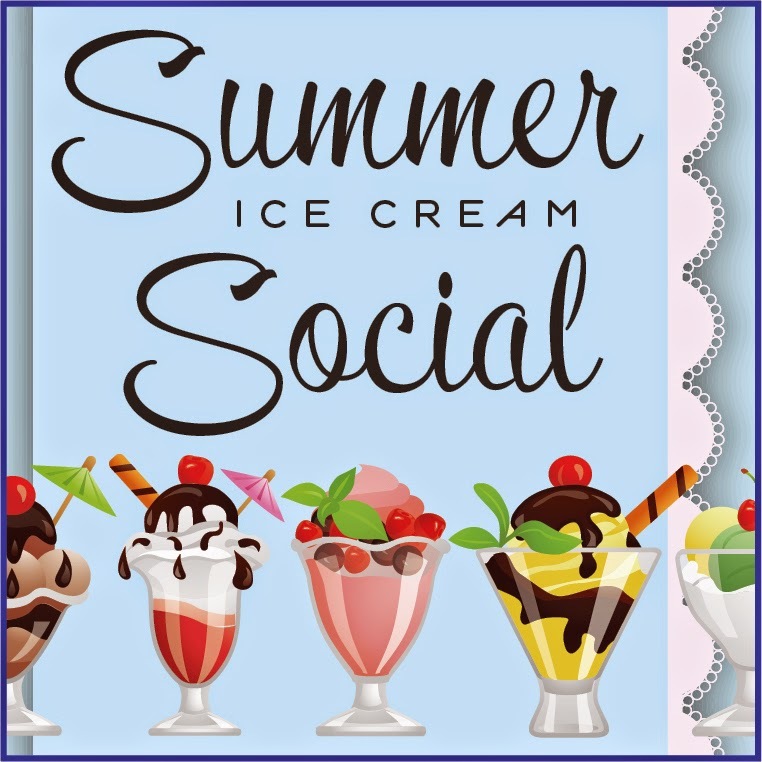 Pour chilled cream mixture into your ice-cream maker, and process for about 25 minutes or according to manufacturer's instructions. Before transferring ice cream to an airtight container for further freezing, stir in pecan mixture. Great combo! 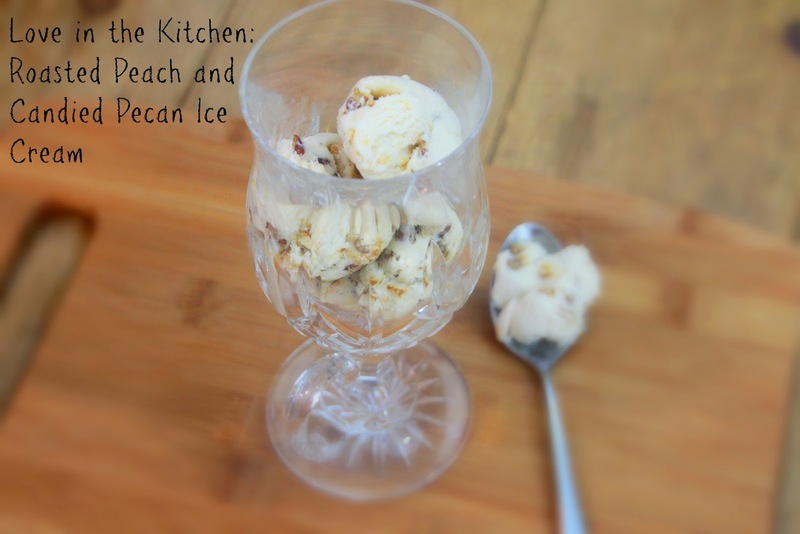 I don't know if the pecans would make it to the ice cream though!